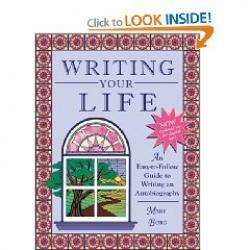 Thinking about writing an autobiography? If you feel that it's time for you to put the story of your life on paper, you're probably looking for information on how to write an autobiography. The task will certainly be easier and go much smoother if you think about what should be included and have a plan in place before you get started. When you are writing an autobiography, what you are doing is writing the story of your own life in book form. It's up to you to decide if the book will encompass every aspect of your life or if it will focus on a particular theme or period of time. The basic fact that separates an autobiography from a biography lies with who writes the book. An autobiography is written by the person the book is about, while a biography is the story of someone's life written by someone other than the person who is the subject of the book. Brainstorm for Content: Before you start putting words on paper, spend a little time gathering your thoughts so that you can decide what types of information should be included. This will allow you to create an outline for the document and provide a framework that you can use to begin organizing the material into a logical structure. Theme/Central Focus: Once you have at least a general idea of the scope of the information that will be included in your autobiography, the next thing you'll want to do is decide on the theme or central focus of the piece. Clarifying the angle of your autobiography at the outset of the writing process is a good way to keep your thoughts focused as you begin the process of narrowing down what will and will not be included. Factual Information: Autobiographies are works of non-fiction. This means that all of the information included should be true. Even though it may be tempting to embellish some of your accomplishments or adventures, doing so is not acceptable with this genre. Sequencing: Decide on the general order for your autobiography. Should you use a chronological format, starting with your early days and moving forward in order to the present? Maybe it would be better to start with present day, and then reflect back to demonstrate how what has happened before has made you the person you are today. Alternately, consider if the book should begin with a major event or accomplishment that represents a turning point in your life. Write an Outline: Once you have completed the above tasks, the next thing you will need to do is create a draft of an outline. It should be structured so that each new idea is a chapter, with sub-points for supporting information under each item. Be sure to leave room for a conclusion and introduction chapter in your outline. Writing a Draft: When your outline is complete and you are satisfied with it, you will be ready to begin writing your first draft of your autobiography. The fact that you have followed the correct steps to get yourself organized before you begin writing should help you stay focused and on-task as you are writing. Proofing and Editing: It's advisable to proof and edit your work as you go. At the end of each chapter, stop and check back over your work carefully. Look for typographical errors and grammatical mistakes as well as for clarity and readability. Pass the completed chapters on to someone that you trust to give you honest feedback. Once you have a complete draft, go through the proofing and editing process again. Once you have a carefully proofed and edited final draft of your autobiography, it will be time for you to take the next step toward becoming a published author. If you do not already have a publishing contract, you will want to move on to the process of searching for a publisher or pursuing one of the available avenues for [List_of_Self_Publishing_Companies|self-publishing]].